Taipei 36th International Conference on "Medical, Medicine and Health Sciences" (MMHS-2019 Taipei) is organized by Academic Fora and will be held from May 16 - 17, 2019 at The Howard Plaza Hotel Taipei, Taipei, Taiwan. Main Theme: “Advances in collaborative research for public Health, Medical and Medicine Sciences for better healthcare services to society” The conference will cover vital issues in medical, medicine and health sciences under multiple sub-themes. The aim of our conference is to support, encourage and provide a platform for networking, sharing, publishing and nurturing the potential growth of individual scholars across the globe. Conference Tracks and Sub-Themes: MMHS-2019 conference is a premier platform for the presentation of novel and creative research results in the fields of theoretical, and applied Medical and medicine research, Health Sciences and Public Health research & practice. The conference will bring together leading researchers, social workers, and scientists, students in the domain of scientific interest from around the world. The areas of interest for submission include, but are not limited to: • Medical Science • Health Science • Public Health Additional details will be posted as soon as they are available. Taipei 37th International Conference on "Medical, Medicine and Health Sciences" (MMHS-2019 Taipei) is organized by Academic Fora and will be held from Jun 13 - 14, 2019 at The Howard Plaza Hotel Taipei, Taipei, Taiwan. Main Theme: “Advances in collaborative research for public Health, Medical and Medicine Sciences for better healthcare services to society” The conference will cover vital issues in medical, medicine and health sciences under multiple sub-themes. The aim of our conference is to support, encourage and provide a platform for networking, sharing, publishing and nurturing the potential growth of individual scholars across the globe. Conference Tracks and Sub-Themes: MMHS-2019 conference is a premier platform for the presentation of novel and creative research results in the fields of theoretical, and applied Medical and medicine research, Health Sciences and Public Health research & practice. The conference will bring together leading researchers, social workers and scientists , students in the domain of scientific interest from around the world. The areas of interest for submission include, but are not limited to: • Medical Science • Health Science • Public Health Additional details will be posted as soon as they are available. 14th Asian Congress on Biotechnology (ACB 2019) is organized by Biotechnology and Biochemical Engineering Society of Taiwan (BEST), Asian Federation of Biotechnology (AFOB), Elite Professional Conference Organizer (PCO) and will be held from Jul 01 - 04, 2019 at Fullon Hotel Tamsui Fisherman’s Wharf, Taipei, Taiwan. ACB2019 is a biannual international Congress jointly organized by the Asian Federation of Biotechnology AFOB and Biotechnology and Biochemical Engineering Society of Taiwan BEST. This ACB2019 meeting is held in conjunction with the 2019 BEST Annual Congress. We aim to provide a platform for researchers and young scientists from around the world to present novel findings and discuss the future of biotechnology for 2020 and beyond. The meeting will include a variety of important sessions ranging from applied microbiology, medical biotechnology, nanotechnology, biomaterials regenerative medicine, synthetic biology and more. The theme of this Congress will underpin the need for collaboration and cooperation of individuals and industries from a wide range of biochemical backgrounds. Session Category: • Agricultural and Food Biotechnology • Applied Microbiology • Biopharmaceutical and Medical Biotechnology • Biocatalysis and Protein Engineering • Bioprocess and Bioseparation Engineering • Bioenergy and Biorefinery • Environmental Biotechnology • Marine Biotechnology • Nanobiotechnology, Biosensors and Biochips • Systems and Synthetic Biotechnology • Tissue Engineering and Biomaterials • Bioindustry and Biobusiness • The 3rd AFOB-EFB Joint Symposium on Applied Biocatalysis • AFOB-EFB-SBA Joint Seminar on Synthetic Biology • Renewable Resource Engineering: In Honor of George T. Tsao • AFOB-EFB Joint Symposium on Environmental Biotechnology • AFOB-EFB Joint Symposium on Nanobiotechnology • AFOB-EFB Joint Student Seminar on Biotechnology of Proteins Additional details will be posted as soon as they are available. Taipei 38th International Conference on "Medical, Medicine and Health Sciences" (MMHS-2019 Taipei) is organized by Academic Fora and will be held from Jul 06 - 07, 2019 at The Howard Plaza Hotel Taipei, Taipei, Taiwan. Main Theme: “Advances in collaborative research for public Health, Medical and Medicine Sciences for better healthcare services to society” The conference will cover vital issues in medical, medicine and health sciences under multiple sub-themes. The aim of our conference is to support, encourage and provide a platform for networking, sharing, publishing and nurturing the potential growth of individual scholars across the globe. Conference Tracks and Sub-Themes: MMHS-2019 conference is a premier platform for the presentation of novel and creative research results in the fields of theoretical, and applied Medical and medicine research, Health Sciences and Public Health research & practice. The conference will bring together leading researchers, social workers and scientists , students in the domain of scientific interest from around the world. The areas of interest for submission include, but are not limited to: • Medical Science • Health Science • Public Health Additional details will be posted as soon as they are available. Taipei 39th International Conference on "Medical, Medicine and Health Sciences" (MMHS-2019 Taipei) is organized by Academic Fora and will be held from Aug 06 - 07, 2019 at The Howard Plaza Hotel Taipei, Taipei, Taiwan. Main Theme: “Advances in collaborative research for public Health, Medical and Medicine Sciences for better healthcare services to society” The conference will cover vital issues in medical, medicine and health sciences under multiple sub-themes. The aim of our conference is to support, encourage and provide a platform for networking, sharing, publishing and nurturing the potential growth of individual scholars across the globe. Conference Tracks and Sub-Themes: MMHS-2019 conference is a premier platform for the presentation of novel and creative research results in the fields of theoretical, and applied Medical and medicine research, Health Sciences and Public Health research & practice. The conference will bring together leading researchers, social workers and scientists , students in the domain of scientific interest from around the world. The areas of interest for submission include, but are not limited to: • Medical Science • Health Science • Public Health Additional details will be posted as soon as they are available. ARIS 2019 - International Conference on Advanced Robotics and intelligent Systems is organized by Robotics Society of Taiwan (RST), National Chung Hsing University (NCHU), I-Shou University (ISU) and will be held from Aug 20 - 23, 2019 at Taipei Nangang Exhibition Center, Taipei, Taiwan. Conference Topics are: • 3D Perception • Automation Intelligence • Big-Data Analytics for Industry 4.0 • Brain Machine Interface System • Cloud Computing for Industry 4.0 • Cognitive Robots • Cyber-Physical Systems for Industry 4.0 • Education Robots • Embedded Robot and Intelligence • Entertainment and Amusement Robots • Fuzzy Control and Robotics • Home Robot and Service Robot for Elder and Children • Human-Robot Interactions • Humanoid Robot • Indoor and Outdoor Service Robots • Inspection Robots • Intelligent Automated System and Its Applications • Intelligent Control for Assistive Robots • Intelligent Control Systems • Intelligent Manufacturing Systems • Intelligent Medical Systems and Applications • Intelligent Robotics and Systems • Intelligent Systems for Smart City • Internet of Things (IoT) for Industry 4.0 • Localization and SLAM • Medical Robots • Multi-Agent Systems • Multi-Robot Systems • Rehabilitation Robot & Caring Robot • Rescue Robots and Hazardous Duty Robots • Security Robots • System Integration Technology • Wheelchair Robots • Wireless and Intelligent Sensor Fusion & • Other Robots Additional details will be posted as soon as they are available. 16th Meeting of Asian Society for Neuro-Oncology (ASNO) 2019 is organized by Taiwan Society for Neuro-Oncology (TSNO) and will be held from Sep 26 - 29, 2019 at South China Bank International Conference Center HNBK International Convention Center, Taipei, Taiwan. The Asian Society of Neuro-Oncology (ASNO) is a multi-disciplinary organization dedicated to promoting advances in Neuro-oncology through research and education. Every winter, over 400 neurosurgeons and medical professionals from 10 member-countries gather, and together with invited guests from around the globe, we share our knowledge and experience, engage in spirited discussion to refine our ideas and enjoy the hospitality of friends. Additional details will be posted as soon as they are available. 14th Asia Epigenome Meeting (AEM) / 3rd Taipei Epigenetics and Chromatin Meeting (TECM) is organized by Abcam and will be held from October 16 - 18, 2019 at Academia Sinica, Taipei, Taiwan. Course Description: It is to engage world leading scientists and outstanding Asia researchers to promote Asia science in the field of epigenetics, in particular, epigenetic regulation in development and disease. Across the three days, starting with the Abcam Epigenetics Conference, there will be discussions on the cutting edge research of epigenetic mechanisms and epigenetic impact in embryonic development, cell differentiation and reprogramming, cancer, aging and neurodegenerative disease, etc. Prizes will be given to the top three posters. Discussion topics will include: • Histone, RNA and DNA modification • Chromatin dynamics • X inactivation • Epigenetics and disease • Non-coding RNA • Epigenetics in embryo, stem cell and reprogramming Additional details will be posted as soon as they are available. 7th edition of the World Congress on Controversies, Debates & Consensus in Bone, Muscle & Joint Diseases (BMJD) is organized by CongressMed Ltd and will be held from Oct 17 - 19, 2019 at Hilton Taipei Sinban, Taipei, Taiwan. Congress Description: BMJD has further enhanced the format of its program for 2019 with new approaches to yet more productive interactions and discussions between experts and participants, offering the best possible translational learning experience while sharing the most recent advances in the treatment and investigation of a number of musculoskeletal diseases. 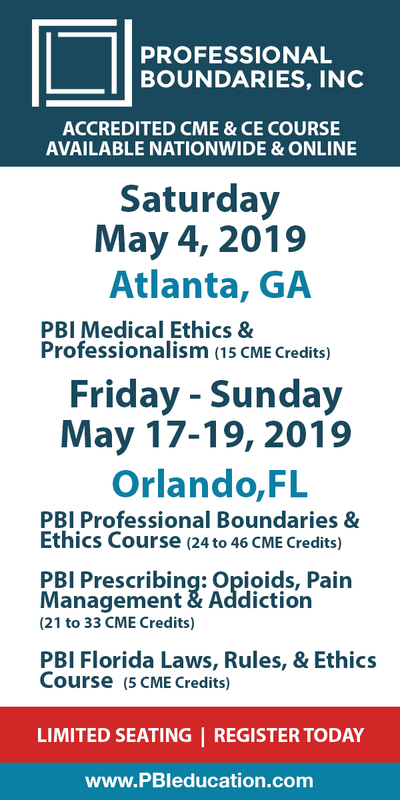 The 2019 program will focus on the most challenging arthritic conditions seen in daily practice both in Asia and in the rest of the world. The aims will be to help physicians by improving the investigation and management of patients suffering from these diseases. Expert debates on the many advancements in the clinical and basic science fields of bone, muscle and joint diseases will focus on providing practical management solutions to challenging and clinically relevant issues encountered in daily practice. Topics: • Gout and crystal arthropathies: Investigation and new treatments • Is crystal arthropathy a local or systemic disease? • Large vessel vasculitis: Is imaging truly helpful in disease treatment and management? • Pulmonary complications of arthritis: What are they and how to treat? • Bone marrow transplants for the treatment of severe scleroderma: What have we learned? • Cardiovascular risks in inflammatory arthritis: Risk assessment and management in daily practice • Ultrasound in the management of inflammatory arthritis: Consensus or debate? • Who to choose for the management of arthritis: Rheumatologists or orthopaedic surgeons? • Randomized controlled trials: Design and analysis • Systemic lupus erythematosus: Biologic or non-biologic treatment? • Headache for rheumatologists: Pain and central sensitization syndrome • Use of biologics for rheumatoid arthritis treatment in countries without reimbursement: How do we address the needs of those patients? • Biosimilars: Old and new. What have we learned so far? • Which biologics are safe for tuberculosis and/or hepatitis C? • Biologics for the treatment of symptomatic osteoarthritis: Safer and more effective than NSAIDs and SySADOAS? • Tanezumab and osteoarthritis: Facts and rebirth • Intraarticular injections of corticosteroids, platelet rich plasma, and stem cells for osteoarthritis treatment: What to tell patients? • Metabolomics and osteoarthritis • Osteoporosis management for the rheumatologist: Western vs. Asian countries Why Attend BMJD? • BMJD is a comprehensive Congress fully devoted to clinical controversies in Bone, Muscle & Joint Diseases. • BMJD addresses the most burning issues in the field and provides an effective forum for debating and discussing these issues. • BMJD allocates ample time after each session for speaker-audience discussions. • BMJD’s faculty is comprised of internationally renowned experts. 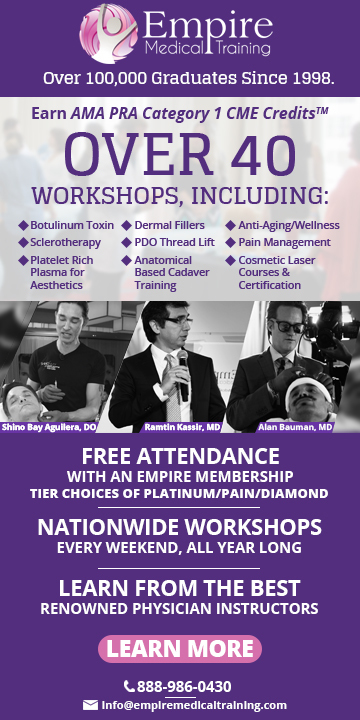 • BMJD will tackle important questions in various sub-fields, including Osteoarthritis, Rheumatoid Arthritis, Inflammatory Arthritis, Pain, and related Musculoskeletal Diseases. • BMJD features a “Young Scientist Award Competition” for young doctors, scientists and researchers. Time: 4:00 pm to 6:00 pm Additional details will be posted as soon as they are available.